This month, best rated solar company, Del Sol Energy proudly partnered with local schools to celebrate education, solar and community. Many of the familiar faces you see downtown Brentwood and at the downtown showroom visited the campus of local elementary schools to set up a fundraiser developed to support local Parent Club’s and PTAs. If you are a parent of a student at Brentwood’s Krey Elementary, you have probably seen a flyer come home in your children’s folders and seen a banner adorning the fence in the Parent Pick-Up and Drop-Off Loop. 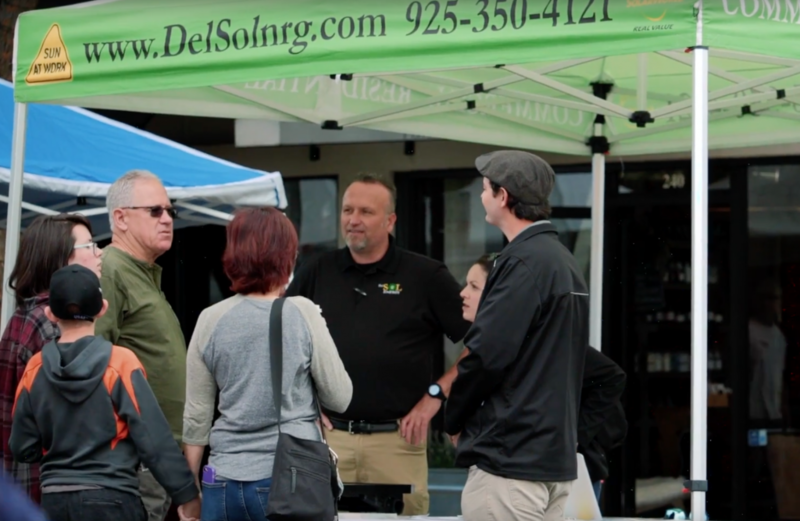 Del Sol Energy values education and set up an educational showroom in the Historic Downtown Brentwood corridor to provide customers and community members the opportunity to visit and learn a bit more about solar energy, the industry and the people of Del Sol Energy. On any given day at the showroom located on 160 Chestnut, you can meet one of our knowledgeable Energy Advisers, learn how we design a system with our Systems Designer or chat with one of the company founders about the history of solar. We are excited to be the leaders in solar education and downtown Brentwood’s best solar company. Outside of our focus on solar education, we have spent countless hours over the last few months exploring how we can further develop access to education for our community. The one area everyone became excited about was our community schools. Many individuals in the Del Sol Energy family are either graduates of local schools or have children or family members actively enrolled in the local school district. This alone was enough reason for us to reach out and form partnerships with local parent’s clubs and school organizations. 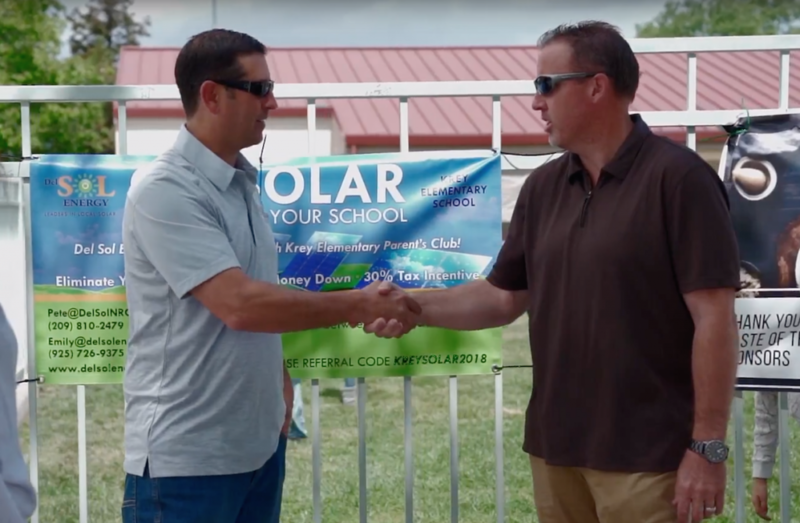 Currently, any homeowners of a newly referred and fully installed solar system can choose which school or local non-profit they would like to donate $500 to. There are no restrictions on the school, assuming they are locally based – since we value education across the board. However, we also open the invitation to donate to a local non-profit. Since education comes from all places, and not just a school room, we are excited to promote education through non-profit partners as well. 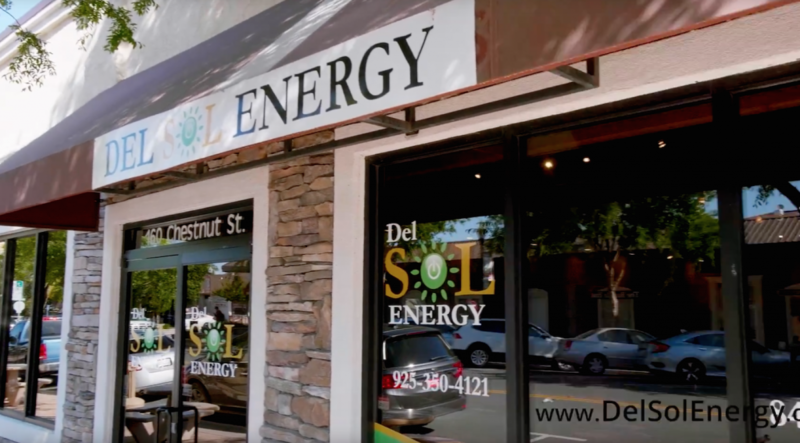 Del Sol Energy is proud to be the top residential solar company in Brentwood and is excited to be able to give back to the families who trusted us to build solar systems on their homes. For more information or to learn how to give back with Del Sol Energy, contact us today. For the Go Solar and Support your School Flyer, click here.